Basic custom imprint setup & PDF proof included! 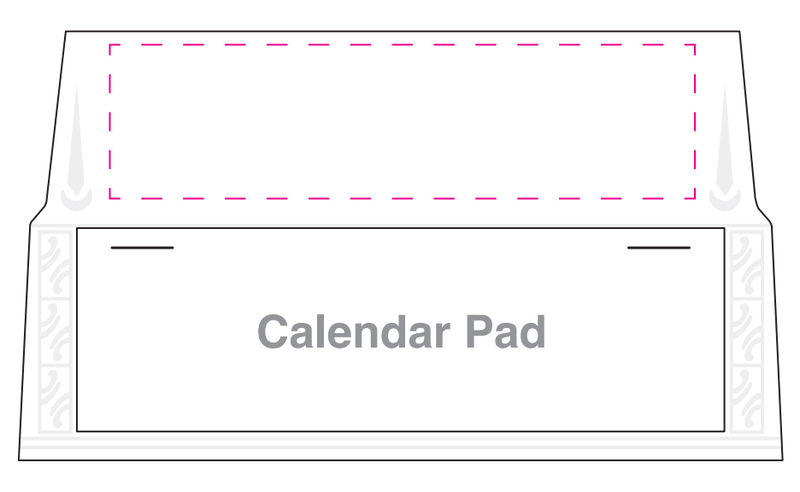 This stand-up rigid desk calendar is ready for your personalization! Lined with leatherette paper in rich colors. 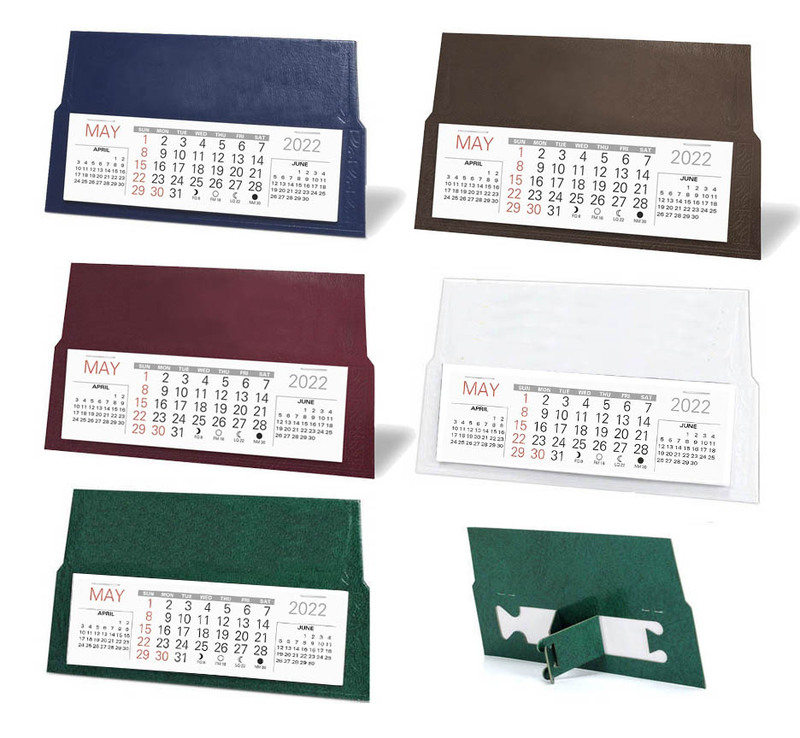 Available in 5 colors options with gold foil imprinting, this custom desk calendar is an affordable promotional option. 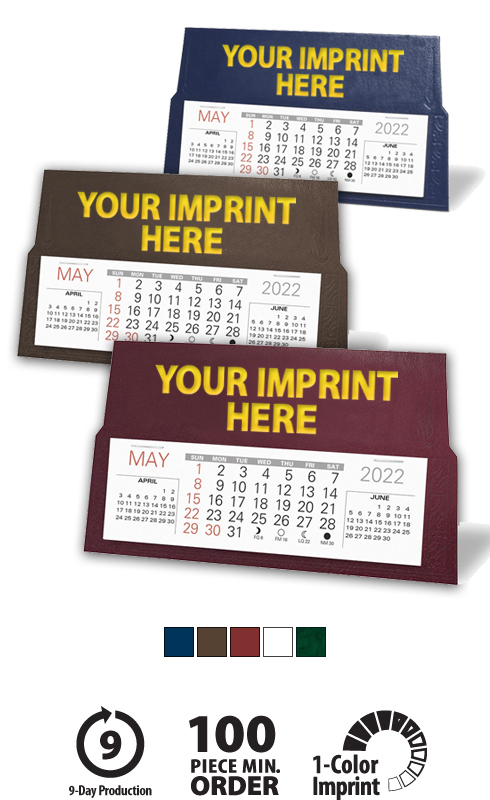 This high-quality custom rigid desktop calendar will proudly display your message for the entire year!